With Fall happily upon us, apples and pears are bountiful, beautiful… and brimming with sweet flavor. And though October is officially National Apple Month… I want to give pears a little love too. 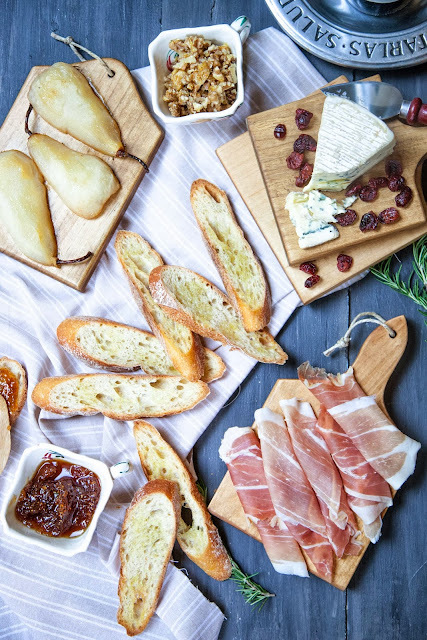 In thinking of what I might offer the folks over at Stemilt, I immediately thought of the coming holidays and the many nibbles that will be served up to friends and family over the next weeks and months. With so many different palates and dietary restrictions to consider, I tend to lean toward appetizer platters... a spread of goodies that are easy to put together and present a few offerings that can mix, mingle or get noshed on their very own. And there’s nothing better than including seasonal fruits in the mix. 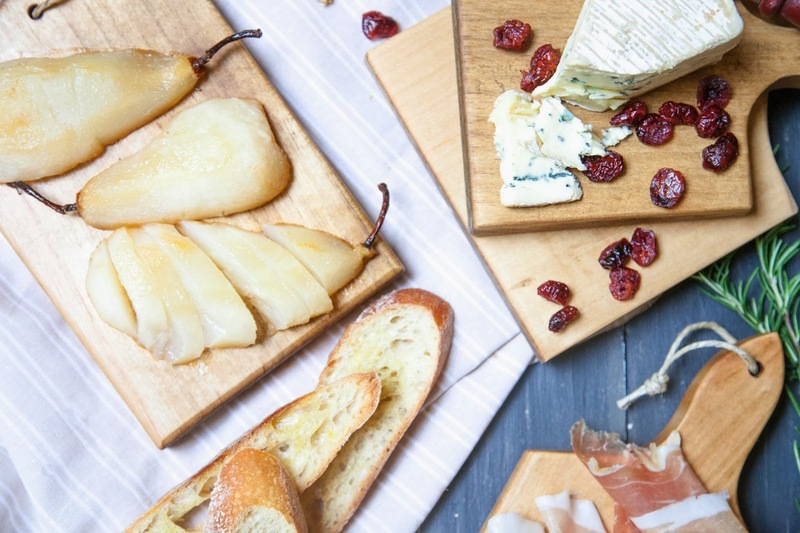 Many times I’ll just slice and serve them up fresh, especially apples and pears, as a complement to a mix of cheeses, nuts, and crackers or fresh bread. 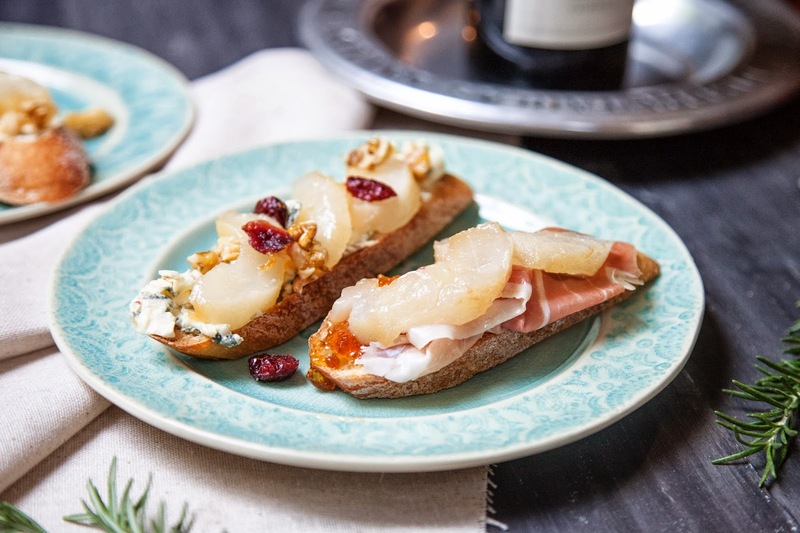 This time, I decided to create a Maple-Rosemary Roasted Pear Bruschetta, using Stemilt’s delicious Bosc pears. With just a few ingredients and a short visit to the oven, these fresh pears roast up beautifully for a savory-sweet topping to crisp baguette slices… slathered with a brie-blue cheese, sweet fig jam or a slice of delicate prosciutto. Guests can build their bruschetta any way they’d like… you really can’t go wrong. And with some dried cranberries and candied walnuts offered alongside, it only gets better. These roasted pears are so good on their very own… as part of this bruschetta offering… OR (if you are lucky enough to have any left over… or plan it that way), they are a delicious add to butternut squash. 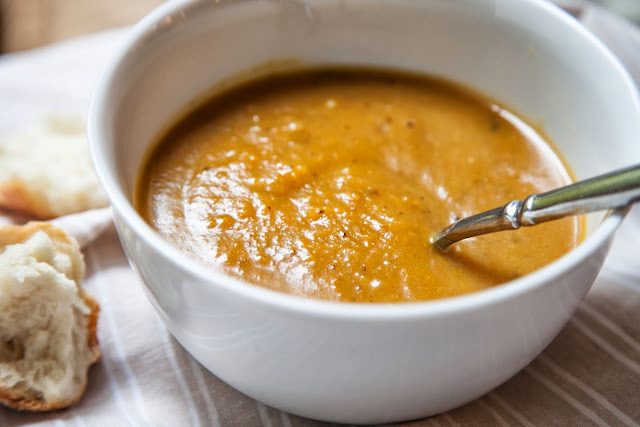 Hold just a few halves aside… add them to some roasted butternut squash and roasted red onion, a little broth, some salt and pepper and, voilà, you have dinner… a flavorful Roasted Pear-Butternut Squash Soup! It’s so simple, easy… and pearfectly delicious! It’s my favorite squash soup for this season. 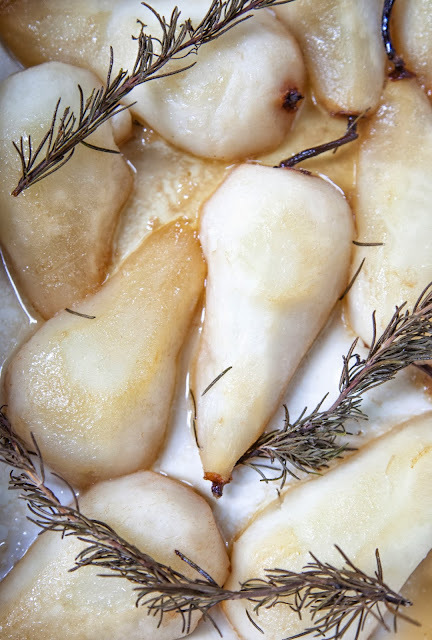 Head over to The Stem for details on roasting up these delicious Stemilt bosc pears.